Named after the Valley of Strathmore in Scotland, Horace Moses, owner of a paper mill in West Springfield in the US, decided to use the name and thistle emblem as a symbol of his high quality printing and art papers. 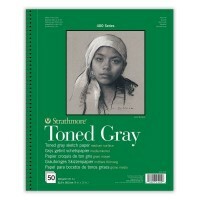 The Strathmore branded fine art papers first appeared in 1899 first with Charcoal and soon after Bristol. 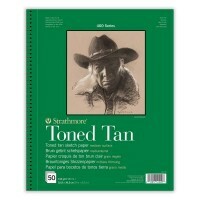 Today Strathmore continue to produce fine art paper for artists of all levels allowing them the grounds to produce and exciting array of different types of art works.